Welcome to Wednesday Word, a monthly linkup for everyone, not just health and fitness bloggers. On the first Wednesday of every month you will have a single word prompt to write about. Let your imagination run free and share with your readers your interpretation of that word, or simply use it as inspiration for your post. Today’s word is dedicated… I’d love to have you link up, and if you do, please remember to follow my four simple rules. When trying to maintain a healthy lifestyle, there are many areas of our lives in which we need to focus and, in some cases, improve upon. There can be an ebb and flow within these different aspects of our lives, but overall, we need to have a pretty good handle on being disciplined on an ongoing basis. 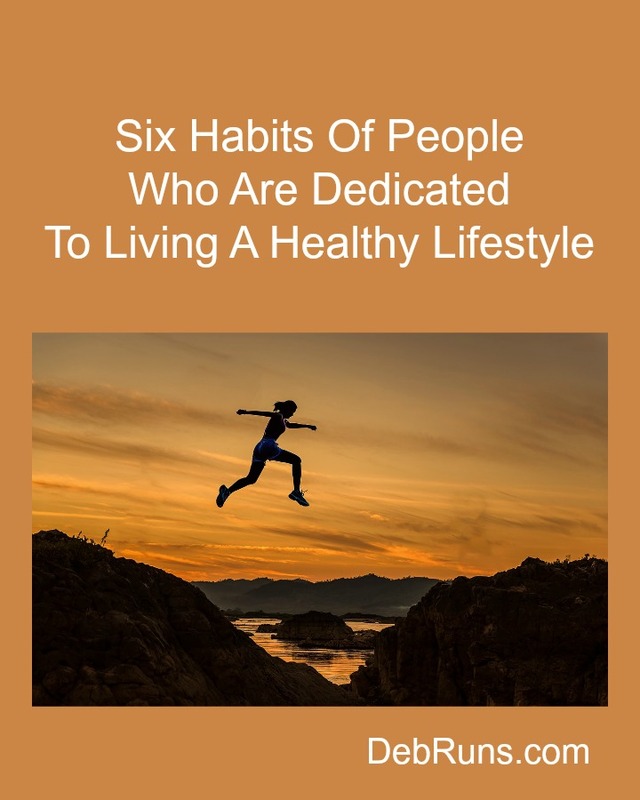 If we’re truly dedicated to living a healthy lifestyle, these areas of our lives will soon become habits. 2. Hydrate properly – A general rule of thumb is that over the course of the day, you should drink the amount of water in ounces that equals half of your body weight in pounds. Using that formula, a 130-pound individual would need to drink about 65 ounces of water per day. Someone very active or sweating more than usual would need to adjust according to the day’s activity level. 3. Focus on getting enough exercise – The components of a complete exercise program are strength training, cardiovascular training, stretching (and proper nutrition). Each component compliments the others in helping he body maintain its optimal performance level. 4. Get plenty of sleep – Sleep is vitally important in aiding in the recovery and rebuilding of our body’s cells. It’s recommended that adults get seven to eight hours of sleep per night. 5. Don’t overdo it – As fitness enthusiasts it’s easy to overdo it. It’s important to remember that just as our bodies need to move and eat well, they also need rest from high level activities. Rest days are extremely important and ignoring them can lead to a variety of overuse injuries and even illness. 6. Keep a journal or log – Many highly successful people keep journals of their daily activities, plans, and accomplishments. If journaling takes more time than you’re willing to spend, keep a log of your exercise, general eating habits, sleep, etc. I keep mine in a Runner’s World Training Log and transfer it weekly onto my Weekly Rundown. Start small and work on one or two of the areas you’re not already practicing. As that becomes a habit, pick another area to work on. Remaining dedicated to your end goals will have you living a healthy lifestyle in no time! Are you dedicated toward living a healthy lifestyle? These ARE simple rules to follow. Good advice! The one I have trouble with is “Don’t overdo it”! My most challenging one is eating the well balanced meals! The one I love to do is the journaling one. I am so far behind on keep track of my runs though! The older I get, the better I get at eating well-balance meals (most of the time). At my age, I notice even more how much better I feel when I eat well. I think #5 is probably the hardest for most runners to adhere to out of all 6 habits.